Hillcrest Conservancy encompasses the area from Acutts Drive in the north and the M13 in the south, the ridge above West Riding, Kassier Rd on the west and Ashley Drive on the east, including Springside Nature Reserve, an ecologically critical green lung that runs through Hillcrest Park. Springside Nature Reserve, the flagship of Hillcrest Conservancy, was proclaimed in 1948 and encompasses 20ha of rich biodiversity: forest, grassland and wetland. 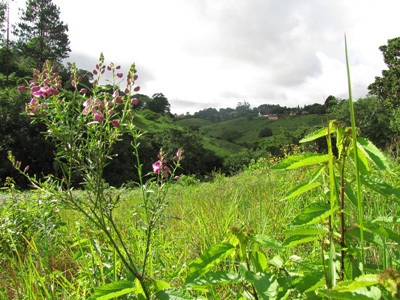 The forested areas provide shelter, nest sites and food for many bird species; the grassland nurtures a multitude of indigenous wildflowers; and the natural wetland, among the few remaining in KZN, filters the stream, conserves water in droughts and reduces flood damage whilst sustaining a vital wildlife habitat. The nature reserve was seldom used until the 1980′s when a group of Hillcrest residents, mainly from Rotary and Lions Clubs, Scout Group, Primary and High Schools and Wildlife Society formed a Steering Committee to manage the Reserve, backed by the Hillcrest Town Board. 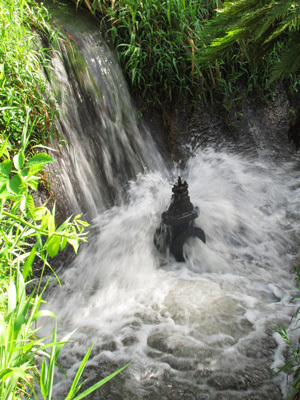 The current Hillcrest Conservancy voluntary committee, together with eThekwini Department of Natural Resources, continues to ensure the preservation of this valuable natural asset for all to enjoy. Apart from the beauty of the Reserve itself, Springside offers easy walks on well maintained and clearly marked trails, a shady picnic area, a Resource Centre for environmental education and presentations, and regular guided walks with knowledgeable leaders, talks by experts, children’s programmes, and more. Events are notified by e-mail and in the local press. The work of the committee includes activities and events to build a small but vital fund used to supplement the limited funds available from the eThekwini Department of Natural Resources.